The Churros recipe is easy to make and everyone loves them when they’re warm. The churros with a cup of Mexican hot chocolate made the perfect combination. 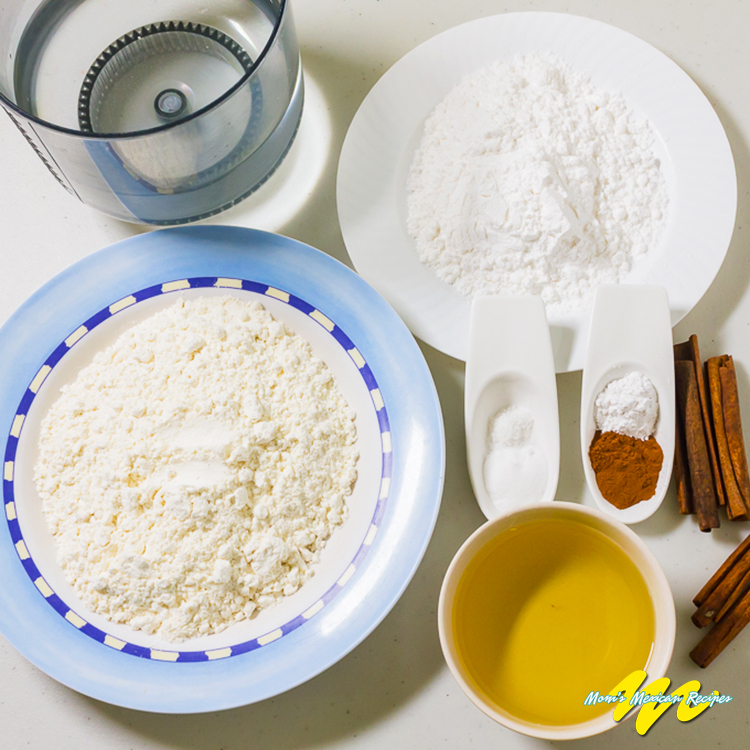 Below is the complete recipe when making Churros. Don’t Forget to Like our Page on Facebook for more Recipes with Pictures. Spread the sugar over the bottom of a baking pan, set aside. Mix flour, baking powder, and ground cinnamon set aside. In a medium saucepan, combine the salt, vanilla and the cinnamon stick with the water. Set over high heat and bring to boil. 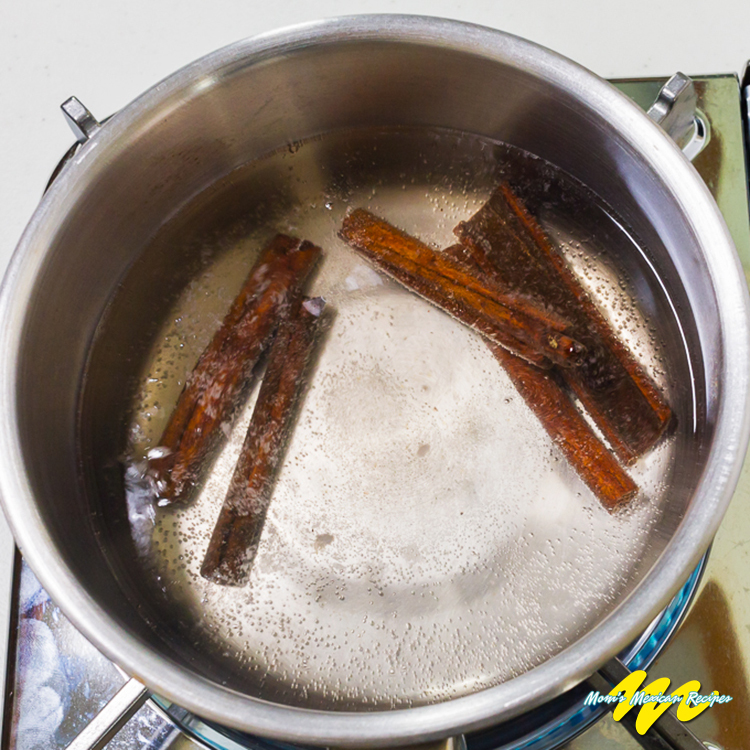 Allow water slow boil for about 3 minutes before removing the cinnamon stick. 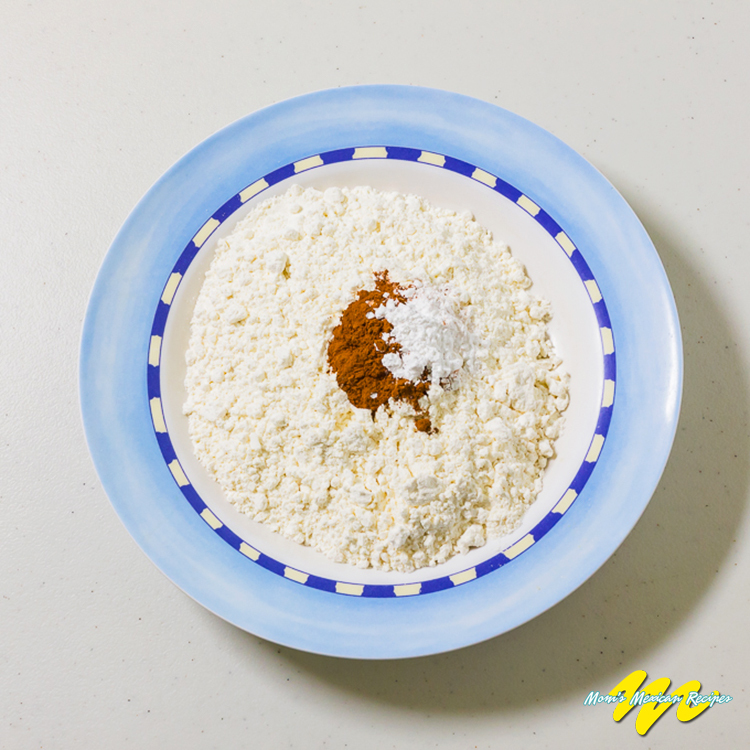 Then add the mixture of flour all at once, stirring vigorously for 2 minutes or until the mixture forms a thick, smooth-textured ball. Remove from heat and let cool in the pan. Heat the oil in a large heavy pan or cast-iron skillet (that's about 9 inches across and 3 inches deep) over medium to medium-high heat. Scoop the dough into a cookie press fitted with a ⅜ inch fluted opening or a heavy duty pastry bag fitted with a ⅜ inch star tip. 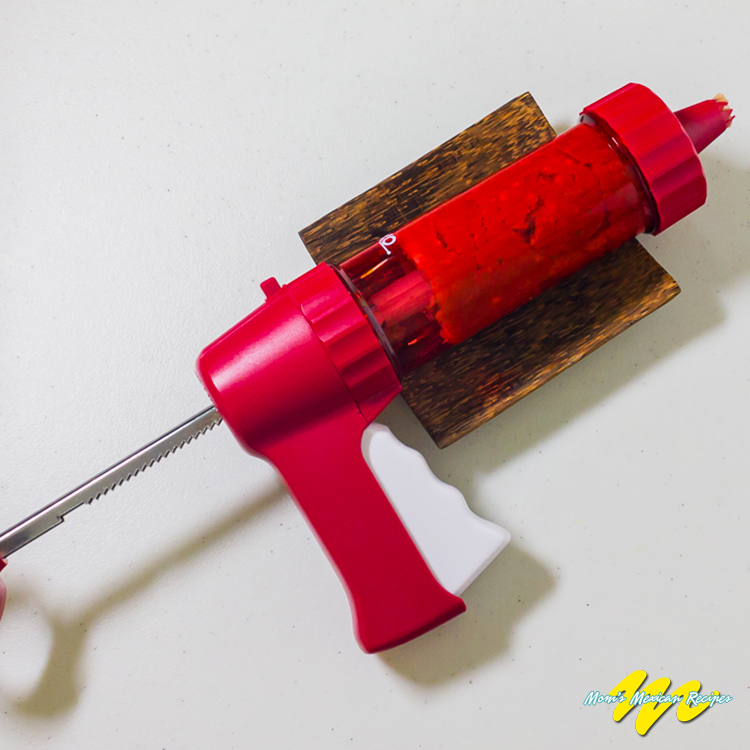 Place the pressing apparatus a few inches above the hot oil and press out 5-inch portions of dough, pulling each part freely from the press using fingertips. Repeat this step 4 o 5 times depending on the desired number of churros to be fried at a given time. Turn occasionally until golden brown. Place the golden brown churros on paper towels to remove excess oil. Roll the churros in the sugar while still warm. 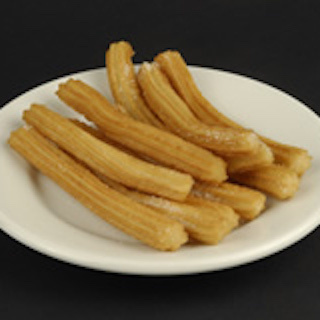 If you can’t fry the churros just before eating, warm them for 3 o 4 minutes in a 350° F oven, but always serve them warm.